p> One indicator of the overall health of the economy is a robust housing market. 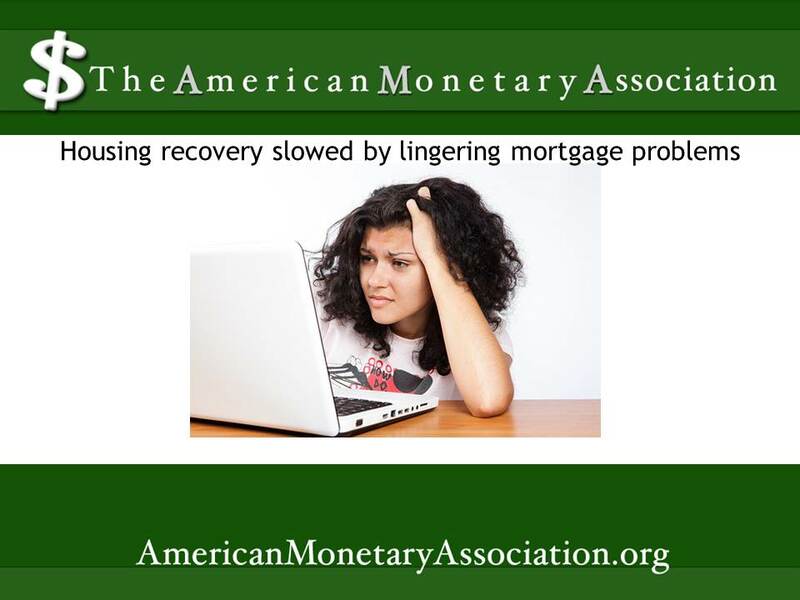 While by many standards the US housing industry appears to be on a slow road to recovery, mortgage issues – some dating back to the great housing collapse of 2008 – continue to drag on the recovery of housing across the country. Low mortgage rates may make this a good time to purchase property, but among those who already own homes, the mortgage default rate remains relatively high. According to industry professionals, the national mortgage loan delinquency rate may decline only to around 5% by the end of 2013. That’s only a small reduction from the 5.32% rate seen at the end of 2012. By contrast, according to TransUnion, a leading consumer credit rate depository, “normal” default rates fall between 1.5 and 2 percent. For the purposes of these statistics, “delinquency” is defined as a mortgage that is 60 days or more past due. problems with home equity. But in bad economic times, when home values plummet, homeowners may not have enough equity to fall back on when a payment comes due. Others point to weakness in the economy as a whole, which makes employment uncertain and wages low. Still others point out that many of these homeowners in trouble obtained their mortgages as part of the wave of subprime mortgages that led to the collapse and these homeowners have been barely hanging on since then. The much-publicized collapse was blamed partially on the explosion of subprime loans made to borrowers with spotty credit ratings and other financial problems. The cleanup after the crisis included tighter standards and oversight of the mortgage lending industry, in an effort to avoid the abuses and misrepresentations that created the robosigning scandal and other fraudulent practices. That in turn led to tighter standards for mortgage lending, as loan applicants were required to demonstrate more financial stability and long term ability to repay. Although these measures helped to prevent some new instances of mortgage default, they couldn’t affect the situations of those who already held mortgages and were struggling to stay afloat. If a default rate of 5 percent or so doesn’t sound like much, the government’s programs to help troubled homeowners, such as HARP and the various refinancing options offered by Fannie Mae and Freddie Mac have not only survived the cuts of the fiscal cliff, but they’ve been expanded to offer eligibility to more homeowners. And regulations governing short stales have been relaxed as well, suggesting the need for these supports not only hasn’t diminished. but has increased.